Must See Show: Silence! The Musical! As in the film, Silence! The Musical! follows the journey of rookie FBI agent Clarice Starling, who must match wits with the brilliant but insane imprisoned murderer, Dr. Hannibal “The Cannibal” Lecter, hoping to gain insight that will enable her agency to catch the serial killer known as Buffalo Bill. Clarice faces her own demons (the death of her father – who appears here several times as a ghost – and her subsequent abandonment to the child welfare system) while racing to unlock Lecter’s clues before another innocent girl is killed. That girl is Catherine Martin, daughter of US Senator Ruth Martin. We see Catherine’s abduction (staged to the upbeat tune “Are You About a Size 14?”), subsequent imprisonment by the gender-confused Jamie “Buffalo Bill” Gumb, and eventual high-stakes rescue. The nail-biting intensity finale of the film retains its intensity here, but maybe with a slightly different bent. Let’s just say the cast keeps you on the edge of your seat, and laughing all the way! 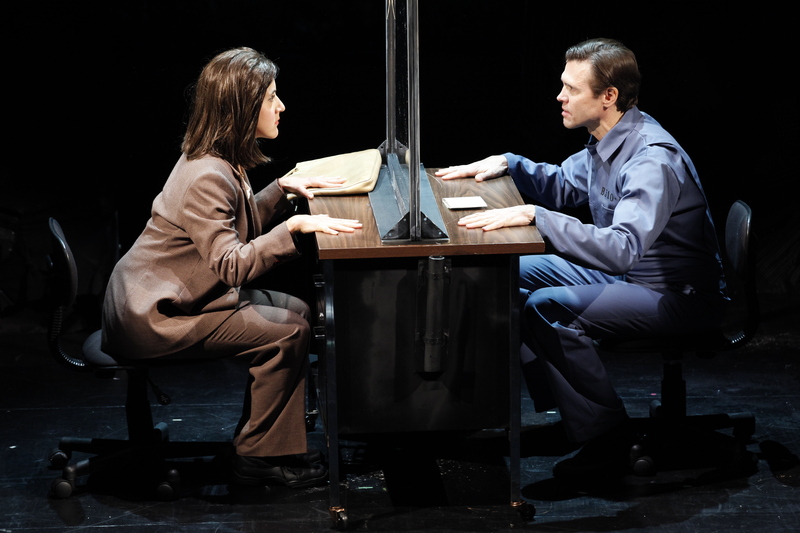 The plays’ two starring roles of Agent Clarice Starling and the diabolical Dr. Hannibal Lecter are played by Jenn Harris and Brent Barrett (formerly seen in Chicago) respectively, and both are fantastic in their parts. Harris does a spot-on interpretation of Jodi Foster’s restrained southern accent, while also effectively mimicking her physical performance in the film, which makes her comic timing even more impactful. Barrett in the role of Lector is not only way more handsome than you’d expect, but he also can really sing! 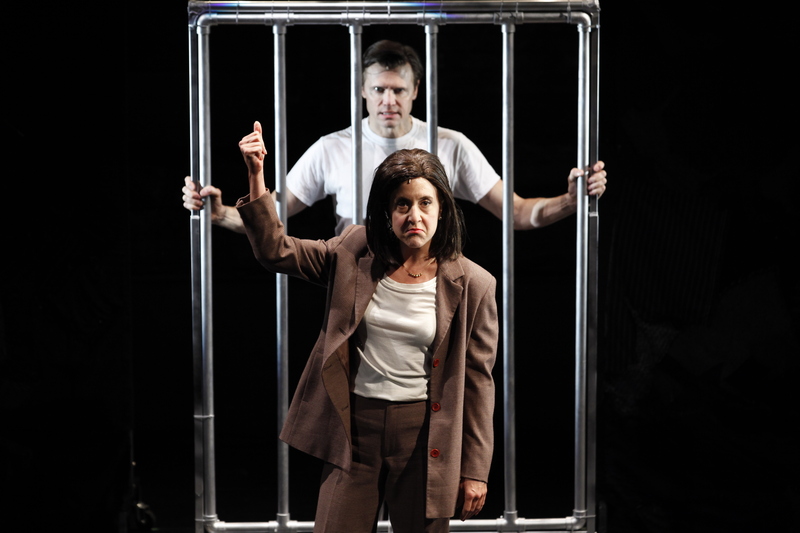 The actor’s near-operatic range pipes are especially seductive when he sings longingly of his imagined freedom from imprisonment in the show’s most audacious and memorable musical number “If I Could Smell Her C*nt.” Yes, I just typed that. Lots of other fun plot points are kept in the production including Ruth’s impassioned televised plea for Catherine’s safe release (“My Daughter Is Catherine”), Gumb’s demand to Catherine to “Put the F*cking Lotion in the Basket” (surely one of the most memorable lines of dialogue from the film ) and, oh yes, we get to see Jamie Gumb do “The Tuck” (if you don’t know to what I’m referring then you really do need to see this show). The cast, which includes a singing, tap dancing Greek Chorus of Lambs, also features Stephen Bienskie as Jamie “Buffalo Bill” Gumb, Harry Bouvy as Dr. Chilton, Lucia Spina as Catherine Martin and Howard Kaye as Jack Crawford, among other very talented performers who help to make Silence! a one-of-a-kind experience. I’d also like to mention that ticket prices are super affordable; the most expensive seats are just $48 – a tiny fraction of the cost of a Broadway Show – and because of the deep rake in the theater, every seat in the house is a good one. These performances will surely sell out, so don’t miss your chance to see this production in its relatively brief run! Silence! The Musical! 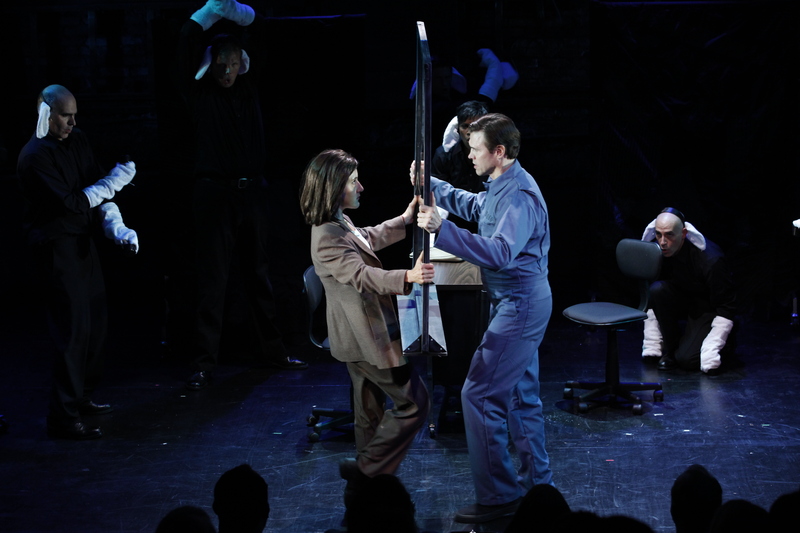 Directed and choreographed by Christopher Gattelli, Music and Lyrics by Jon and Al Kaplan, Book By Hunter Bell, runs through August 13 at the legendary Theater 80, located at 80 St. Marks Place, just West of First Avenue. Show times are Fridays at 8 PM and Saturdays at 8 PM & 10:30 PM. 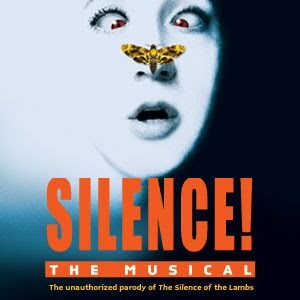 To Purchase Tickets – Priced at $48, $38 and $25 – and for more Info please visit silencethemusicalnyc.com. Song List After the Jump! Sounds awesome! This seems like a lot of fun. Sidebar: I highly, highly, highly regret not seeing The Evil Dead Musical.